Don't get lost and know the basics. *The highlands of Iceland can be unpredictable. When a storm comes through it can be violent – but usually short. It is for this reason that we will institute a floating start time which will be announced 48 hours prior to the race. This time could vary by up to 12 hours. If the start time is moved all cut-off and finish times will be moved accordingly. Packet pick-up and tours of the Lava Centre (Austurvegur 14, 860 Hvolsvöllur). Sprint races and kid's games. 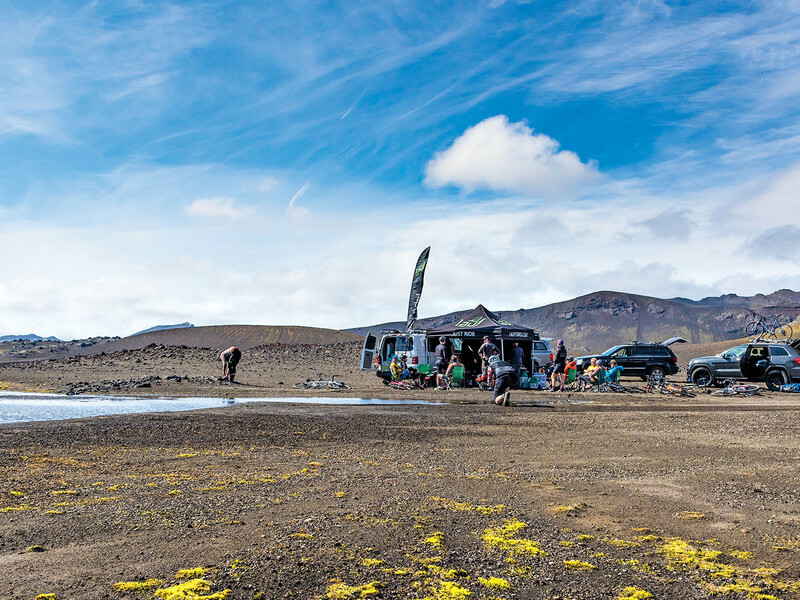 Evening Pre-race gathering – Midgard Basecamp (Dufþaksbraut 14, 860 Hvolsvöllur). Live Music and beer. Race line-up and mandatory meeting at the Lava Centre (Austurvegur 14, 860 Hvolsvöllur). 200 KM Line-Up: Pro Men, Pro Women, Open. Aprés at Lava Centre (until 8:00pm), Austurvegur 14, 860 Hvolsvöllur. After-Party and war stories at Midgard Base Camp (until late) at Dufþaksbraut 14, 860 Hvolsvöllur. Award Ceremony at Midgard Basecamp, Dufþaksbraut 14, 860 Hvolsvöllur. The race director has the final authority on any disputes. Volunteers are not staff. They may not have information about the course or your time beyond their job to hand you food and water. Do not rely on their information. Plan ahead of time. With the exception of the youth restrictions, your race age is the age you will be turning in the present year. ie. if you are 44 on race day, but will turn 45 in August, you will race in the 45+ category. Minimum age to race the RIFT is 18 and the Minimum age to race the Crevasse is 16. You must be the minimum age on race day. We use a gun start, and if you jump the gun you can be dnf’d or penalized the difference + 2 min. Jumping the gun is cheating. Cut-off times will be established for reaching and for departing each checkpoint. Any participant not reaching a checkpoint before the established arrival cut-off time will be pulled from the event. Arrival cut-off times are based on an average speed of 10 mph and are established for the purpose of rider safety. Therefore, these times will be strictly enforced. Participants may help other participants with mechanical support, navigational assistance, or by any other means. Be responsible for your belongings and don’t throw trash on the trail. Be nice to your fellow racers, always announce when you are passing and make sure they have a safe place to pull over, especially in the technical parts. 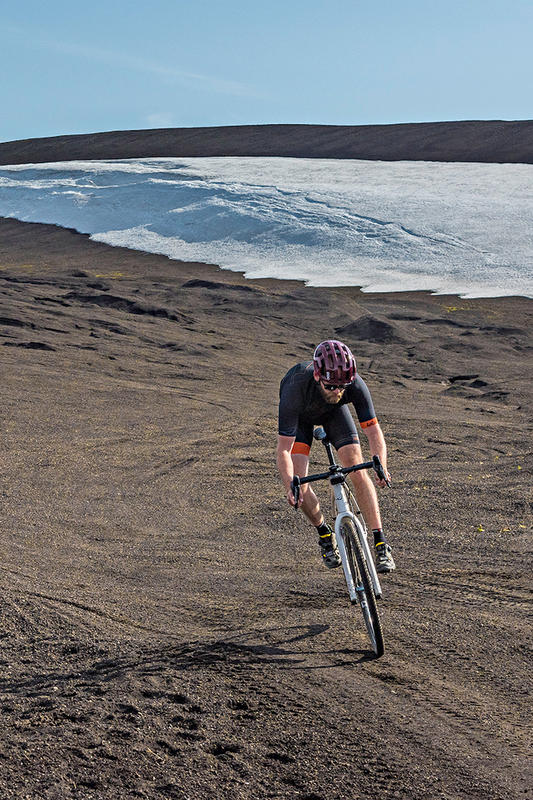 Remember Iceland is a fragile place, respect the landscape and stay on the route. If you need to stop and take a break make sure you are well off course in a hardened area. All riders will be asked to sign an environmental waiver at packet pick-up. Link to waiver. Timing is provided in real time and participants can check via mobile app to confirm their finish. No recorded finishes should be reported immediately. Only the Top 10 finishers will be posted and there will be an hour protest period before they are considered final. The Race Director has the final determination on protest. STRAVA is not considered official timing and will only be used to confirm completion of the course, not official time.